A business credit card is a useful tool for helping you get the cash you need for essential expenses. However, if you don’t use it the right way it can cause you some serious problems. 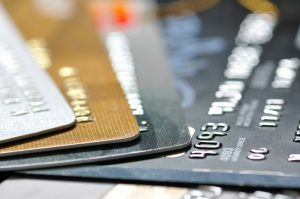 The following are some of the most common financial mistakes that business owners make with their credit cards. Make sure you don’t fall into any of these traps yourself! No one likes to make credit card payments so it’s tempting to pay only the minimum. This, however, isn’t the best policy if you care about your financial future. To begin with, when you make the smallest allowable payment it will take you a long time to pay it off. Secondly, on most credit cards the interest goes up over time. This means the longer you take to pay, the higher your interest rate becomes. Pay as much as you can afford so you pay it off sooner and minimize interest rates. Two of the worst business finance mistakes you can make are making late payments or missing payments. When your payments are late you face penalties. Beyond this, it can harm your credit score. Missing payments altogether is even worse. The best policy is to set up auto-payments online so you don’t risk such problems. If you prefer to make manual payments, make sure you are diligent about paying on time. You should always take the time to review each credit card statement. Nowadays many people fall victim to fraud. If someone has gotten hold of your credit card number or identity, you want to know about it as soon as possible. You also want to make sure you haven’t been overcharged for otherwise legitimate expenses. Reviewing your statements also keeps you aware of how much you’re spending. When you have a certain amount of credit it’s tempting to use it all. However, maxing out a credit card is one of the biggest business finance mistakes you can make. Furthermore, if you run into an emergency where you really need additional credit you’ll be out of options. As a general rule, try to avoid spending more than 30 percent of your credit limit. It may seem logical to cancel a card that you’ve paid off and don’t intend to use again. However, this isn’t good for your credit. If you’ve had this card for at least a couple of years it’s generally better to keep it. Otherwise, you may be reducing the average age of your accounts. This may not harm you if you have excellent credit. However, if you’re working to establish or repair your credit, such an action can be detrimental. Another reason not to close an account is that you may need to tap into that line of credit again in the future. Some credit card companies let you have multiple cards on one account. You may want to give cards to your employees so they can make purchases for your business. This is not a good idea, however. Not everyone is responsible when it comes to credit. All it takes is one person to abuse this privilege to cause serious harm to your credit. It’s better to stick to one card and keep control of it yourself. Be careful to avoid these financial mistakes. Use your business credit card wisely to ensure that it’s a tool rather than a liability for your business. An alternative way to improve cash flow is to use invoice factoring for your business. To learn more about this, contact Riviera Finance, the industry leader for nearly 50 years.